Do you often have to worry about performing everyday tasks on your laptop just because you fear a lot of people prying around or snooping into your laptop screen? 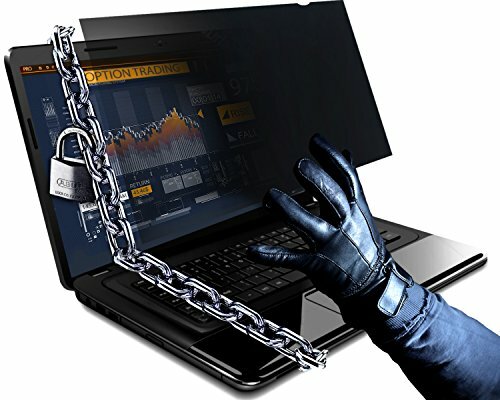 Do you hesitate entering the passwords or reading/viewing/surfing content on your laptop that befits to an office environment but you still do not want others to know about it? This privacy filter is designed for use with 14.0 Inch Widescreen laptop screens that have a 16:9 aspect ratio (Measured Diagonally, Corner to Corner Without the Frame). If you aren't sure about your laptop screen size, simply search for screen size on the web using model name/number or take a tape & measure the screen diagonally, excluding the frame. ORDER NOW and Get this Incredible Privacy Screen Filter for your Laptop Delivered in Just 3-5 Days!